Between 2010-2011, Crystal Dreisbach wrote 200 letters to businesses throughout the Triangle. Her mission toward a more sustainable Durham was just beginning. The restaurants Dreisbach wrote to used Styrofoam, and she wanted to talk to distributors about sustainable alternatives, she said. In 2009, she submitted her idea for reusable takeout containers to a magazine in Portland, Oregon, and won a runner-up award. “Everybody said it was a crazy idea,” she said. Nonetheless, the award energized her to reach out to restaurants in Durham. She knew many people didn’t read letters, but one day, a restaurant in downtown Durham wrote back. The owners of the restaurant were considering transferring to compostable boxes. It was Dreisbach’s letter that made the restaurant pick up the phone and switch to a different material, she said. In other areas of the country, there were Styrofoam bans, but the idea wasn’t mainstream. Dreisbach presented her idea to ban Styrofoam to the Durham Environmental Affairs Board (EAB). The EAB was excited about the idea and established a sub-committee to work on Styrofoam issues, with Dreisbach as a co-chair. The sub-committee created Don’t Waste Durham, which has been meeting since 2012. Its main function is to convene people, from nonprofits to concerned residents, who care about waste reduction. Don’t Waste Durham offers a reusable takeout containers and straws for businesses, and implements composting programs in schools and partners with organizations throughout the Triangle to raise awareness about living sustainably. 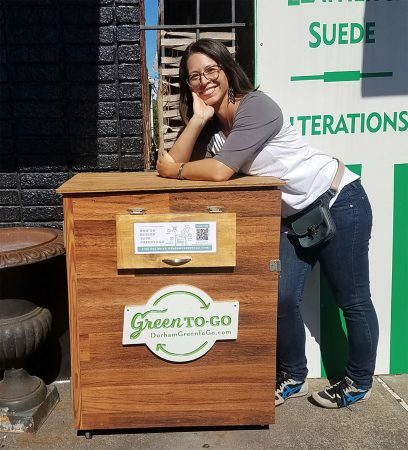 The nonprofit has promoted waste reduction at many local businesses, including the Bull City Burger and Brewery, she said. Bull City Burger and Brewery was recognized as a Gold Level Green Workplace by the City of Durham. With the help of Duke’s Environmental Law and Policy Clinic, Don’t Waste Durham hopes to pass a voluntary ban on single-use plastics and Styrofoam at the Durham city level. Before presenting to the EAB on Wednesday, April 3, Don’t Waste Durham wanted to make sure the entire community could participate. “If you tell low-income businesses that Styrofoam is bad, but there’s no affordable alternative for them, then what good does it do?” Dreisbach said. If City Council adopts the resolution, Dreisbach hopes the voluntary ban can be facilitated by community stakeholders coming together to make the ban work for businesses with different income levels. Duke’s Environmental Law and Policy Clinic hopes to get the EAB to adopt the voluntary ban resolution, which means it can go to City Council for a vote. City Council’s approval of the resolution would make a public statement in support. Because the ban is voluntary, people would not be required to eliminate single-use plastics, but would be more likely not to use them because City Council supports it, Dreisbach said. Don’t Waste Durham wants to include everyone in the community. 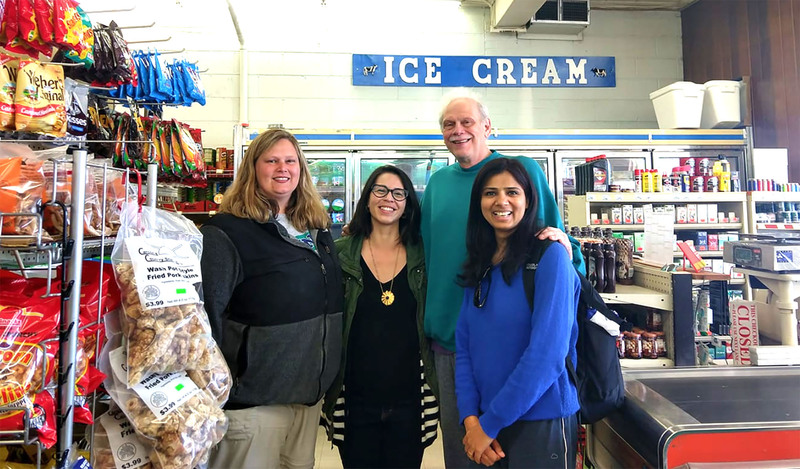 “The solution to pollution lies within each one of us,” Duke Environmental Law and Policy Clinic student Rupanjali Karthik said. Dreisbach said the backing of the City Council would make all the difference in raising awareness about the need to reduce plastic and Styrofoam use. Part of the legislation Don’t Waste Durham hopes to pass would include the city purchasing items in bulk to replace the plastic and Styrofoam businesses currently use. Then individual businesses can purchase the replacement items from the city at a cheaper cost than if they were buying these products on their own. Dreisbach hopes this system would make the legislation more equitable and easier to implement for all businesses. “If we do things quickly and hastily and without the input of the whole community, down to the mom and pop shop in Eastern Durham to the manager of Harris Teeter, we’re not going to get that community buy-in,” said Dreisbach. Dreisbach and Don’t Waste Durham approached several local businesses to see how a voluntary ban could work in different types of stores and restaurants. One of these businesses is King’s Red and White Supermarket, owned by Brink King and opened by King’s father in 1956. King said he is open to the idea of switching the store’s plastic grocery bags to a “bring your own bag” system with reusable cloth bags. He also said it wouldn’t surprise him if grocery stores began to switch back to wrapping meat products in paper rather than plastic, which is what many stores used to do. The materials themselves might even save the supermarket money, since paper is less expensive to package meat than the plastic trays that are currently used. King said he believes customers would be open to these sustainability changes. “I don’t think there would be any bad feedback from it, really, because everybody wants a cleaner, better place to live,” he said. Celia McRae, a UNC-CH senior majoring in journalism and political science, is from Cary. This semester she is serving as a staff writer for the Durham VOICE. Natasha Townsend, a UNC-CH senior majoring in journalism and psychology, is from Hendersonville. She is serving this semester as a staff writer from the Durham VOICE. This entry was posted in Community-building, Food, Non-profits. Bookmark the permalink.